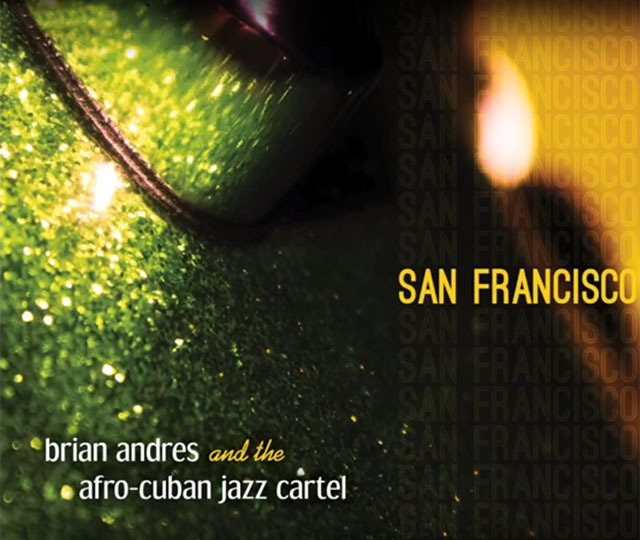 It matters not on which coast music is made in that idiom conveniently referred to as Latin Jazz, when the music has the kind of visceral energy that can be found on San Francisco by Brian Andres and the Afro-Cuban Jazz Cartel, it feels very special indeed. Brian Andres is a drummer with a wonderful feel for the music and despite the fact that he has not written music for this record, he is a fine interpreter of the music on which he plays so flawlessly. In fact, Mr. Andres may be in a thin minority among North Americans and Europeans—principally Peter Erskine and the Irish-Canadian, Mark Kelso, both of whom can play in almost any idiom and setting and—who can aptly interpret African-Caribbean polyrhythms. 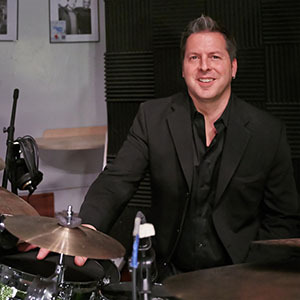 The explosive nature of Brian Andres’ attack is simply stupendous; as a percussion colourist, he is able to bring a myriad elements of tones and hues to his drumming all of which he records in a most melodious manner. Many times it appears that Mr. Andres is playing elements of the melody and his touch is also quite subtle sometimes and very evocative. For instance, when accompanying a fiery trumpet solo he plays as if he were the very embers of that fire that are fluttering and flying with beautiful dangerous around the song. At other times, when the music is called upon to be more suggestive, as on the mesmerising son music on the record, Mr. Andres can be extremely subtle and plays with very angular percussion architecture. Yet always he is true to the challenging time signatures of African-Caribbean music, especially when playing music that either is or mimics accurately Cuban standards. This record would have been worth it even if it just had four songs on it. The first is a rather ambitious imagining of Joe Zawinul’s classic chart, “Black Market”. Retaining the dramatic majesty of the original Weather Report original, this arrangement by the ever-talented pianist Christian Tumalan leans heavily on the down-beat of clave. Far from being out of their depth on the so-called “electronic” features of the song, pianist and drummer, together with the fine Afro-Cuban Jazz Cartel members turn in a fabulous, authentic mambo of the chart. Next comes a composition by the trombone player Jamie Dubberly entitled, “Soul Provider”. 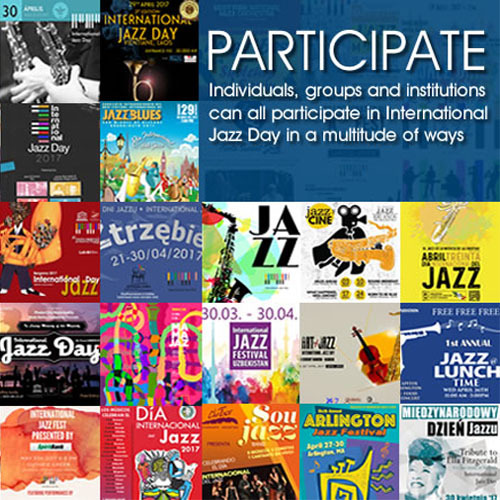 This is a bright, wild and exquisitely unruly jam where the clave is shuffled in with a wonderful ascending harmonic figure that is based initially on a blues structure, which gets more interesting when it changes places with a mambo; then goes back and forth between the two rhythmic structures all the while maintaining its own identity as a hip, loud and exuberant piece. Carlos Caro’s timbal exchanges with Mr. Andres and with the conga player Patricio Angulo are truly memorable here. Israel “Cachao” López’s chart “Como mi Ritmo no hay dos” has been lovingly transcribed by Mr. Tumalan and turned into another wonderful descarga, providing a time for bassist Aaron Germain to shine, but here also lies a marvelous and burnished solo by the saxophone player, Tony Peebles. The vocalist Braulio Barrera also shines on this chart as he does elsewhere, turning in an impassioned rendition of the lyric that criss-crosses the superbly coloured percussion-centric parts of the song. But the pride of place goes to “San Francisco tiene su propio son,” a composition of Greg and Sebastian Landau which became an iconic song from the acclaimed Ritmo y Candela recording (1995). This is a very authentic Cuban son that imbues also the laid-back rhythms of west coast jazzical polyphonic idioms. There is an excellent tres outing for Camilo Landau, who reaches giddying heights on an instrument so closely associated with the steam and sweat of Havana that it is nothing if not authentic-sounding to his deft expression and virtuosity. Still the rest of the album is also wonderful and well-orchestrated. It has excellent production values and captures the individual sounds of the instruments with depth and colour, making it essential listening for anyone who is passionate about African-Caribbean music. It serves notice that Brian Andres is a drummer to be taken very seriously as someone who has a fine ear and a seemingly native instinct for African-Caribbean music. Christian Tumalan emerges as a major talent when it comes for writing arrangements for larger ensembles and can be counted upon to produce much more fine music in the near and far future. Track Listing: Sand castles; Nothing but trouble; San Francisco tiene su propio son; Black Market; Higashi Nakano; Soul Provider; De San Francisco a Tijuana; Bugs on a Windshield; Una gota; Off the cuff; Como mi Ritmo no hay dos; Bongo reyoyo. Personnel: Brian Andres: drum set, miscellaneous percussion (6); Christian Tumalan: piano; Aaron Germain: bass; Tony Peebles: saxophones; Jamie Dubberly: trombone; Steffen Kuehn: trumpet; Carlos Caro: bongo, campana, guiro, conga (4), timbal (1, 2, 5, 6, 8); Gloria Amaral: vocal (9); Camilo Landau: tres (3); Patricio Angulo: chekere, conga (1, 2, 6), timbal (3, 4, 11); Javier Cabanillas: conga (3, 5, 7, 8, 9, 11); Nikki Smith: coro; Braulio Barrera: lead vocals, coro (3, 11); Henry Hung: flugelhorn, trumpet soli (1, 2, 3, 6); Chants and shouts (6): Brian Andres, Javier Cabanillas, Jamie Dubberley, Juan Elias; Hand Claps on (6): Brian Andres, Javier Cabanillas, Jamie Dubberley, Patricio Angulo, Christian Tumalan, Chepito Areas and friends.